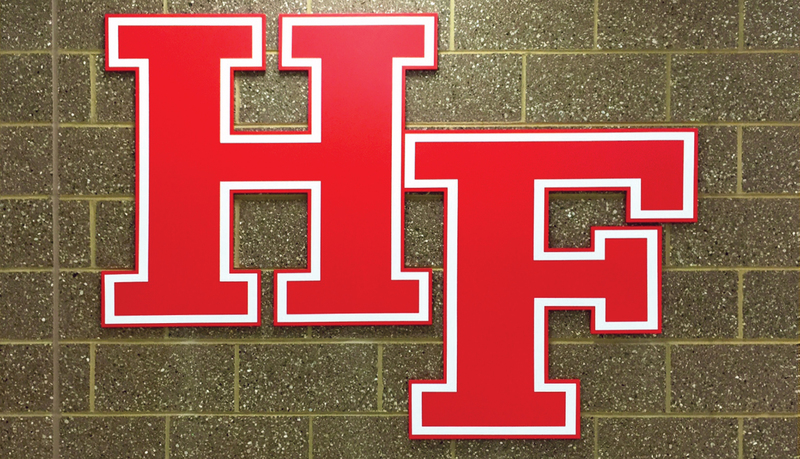 Homewood-Flossmoor Community High School is a public school in the Chicago metro area. 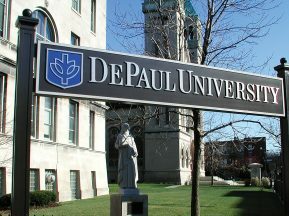 The campus consists of a North and South Building. 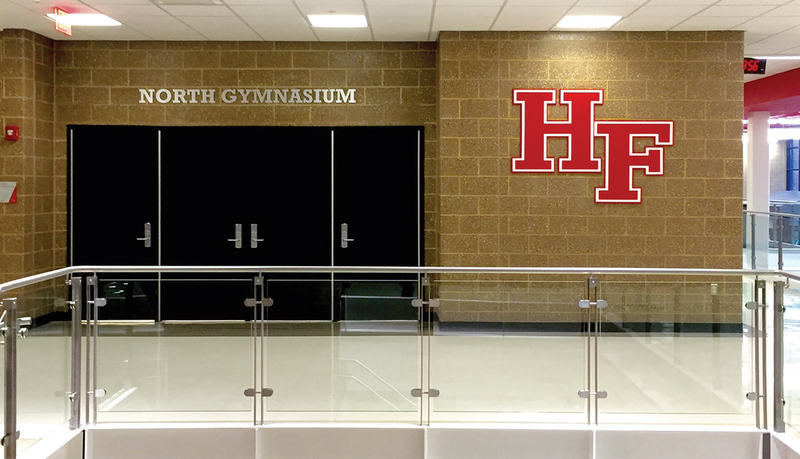 The North Building’s entrance and field house was renovated including transformation of the main entrance into a 2-story atrium, and expansion of the field house, training room, gymnasiums and offices. 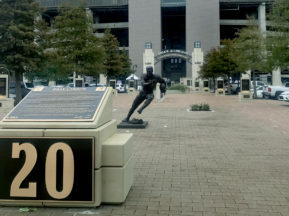 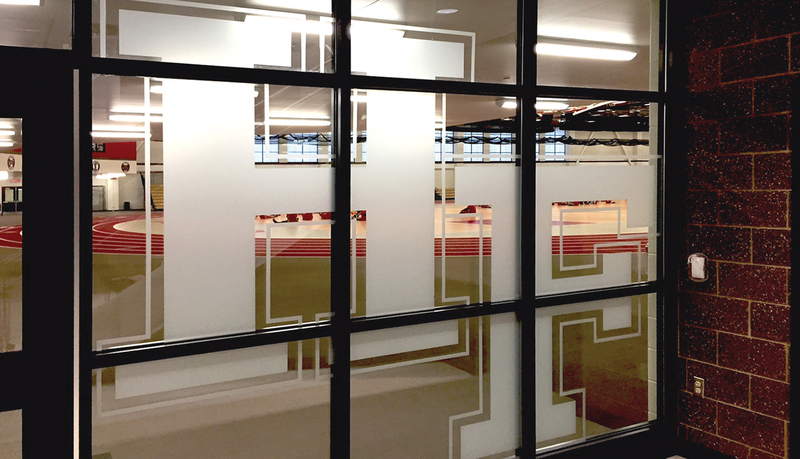 A new 200-meter indoor track with 50-yard indoor turf was added as well. 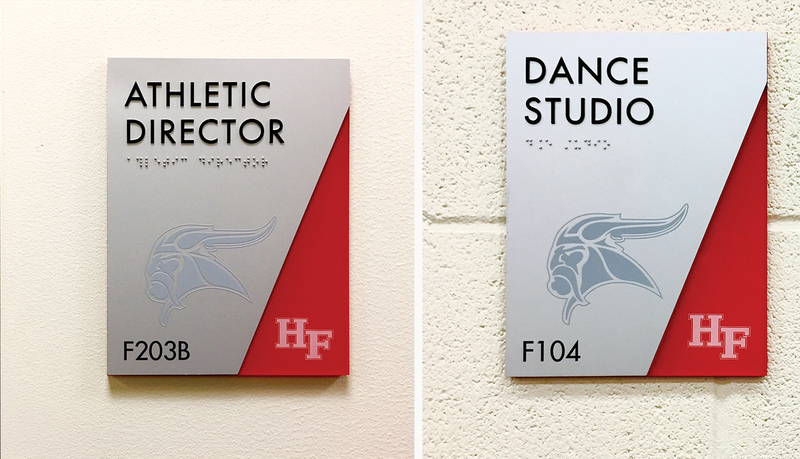 The client required that we develop a new interior signage system and branding guidelines that complement the improvements and expansion of the fieldhouse, training room, gymnasiums and offices. 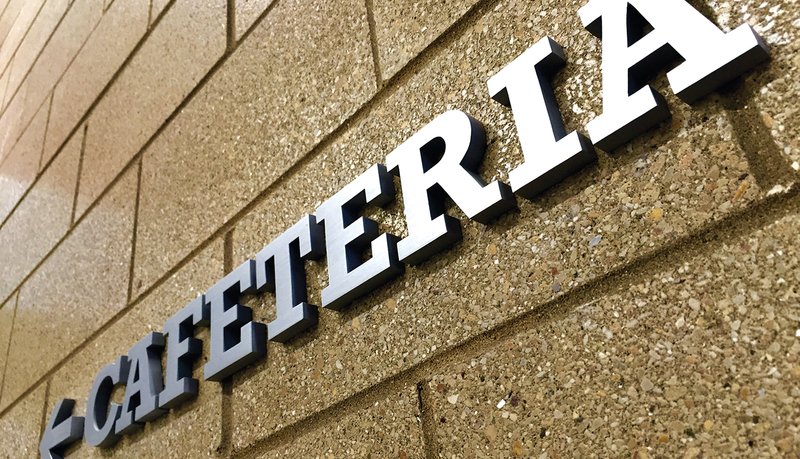 Considering the active and high-traffic environment, material durability was also a critical customer requirement. 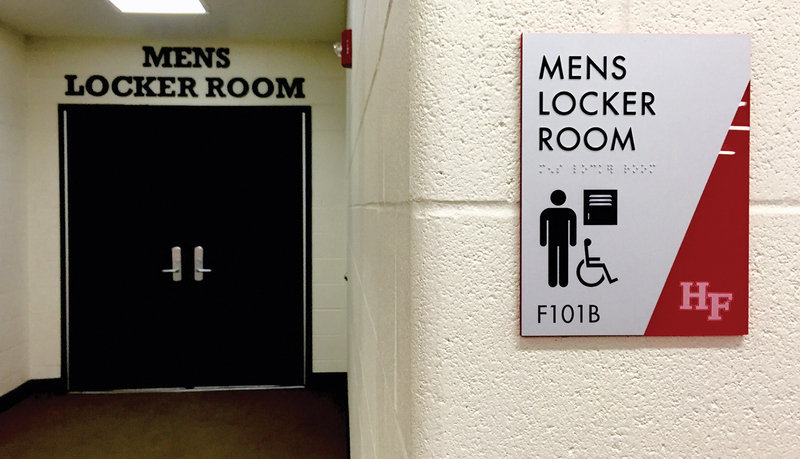 ASI designed, programmed and implemented a new interior signage system that contributed to the facility achieving LEED® Gold certification. 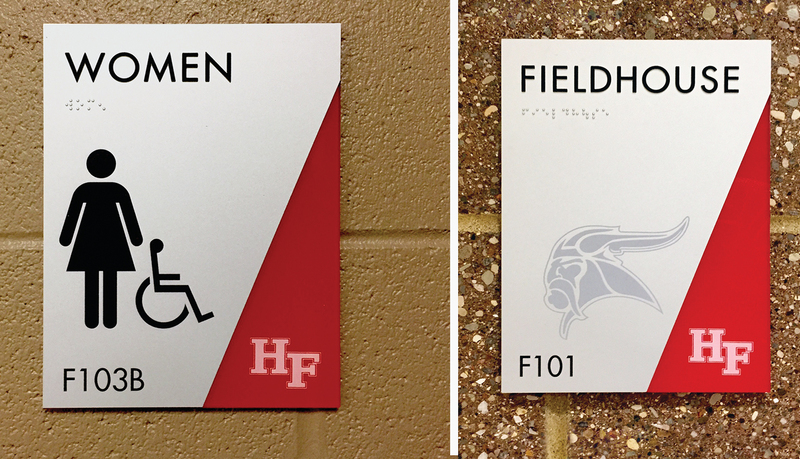 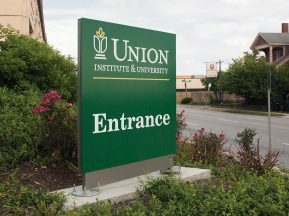 The project scope included InTouch™ an ADA-ready interior signage system as well as code related signage, super graphics, banners and branding signage within the field house. 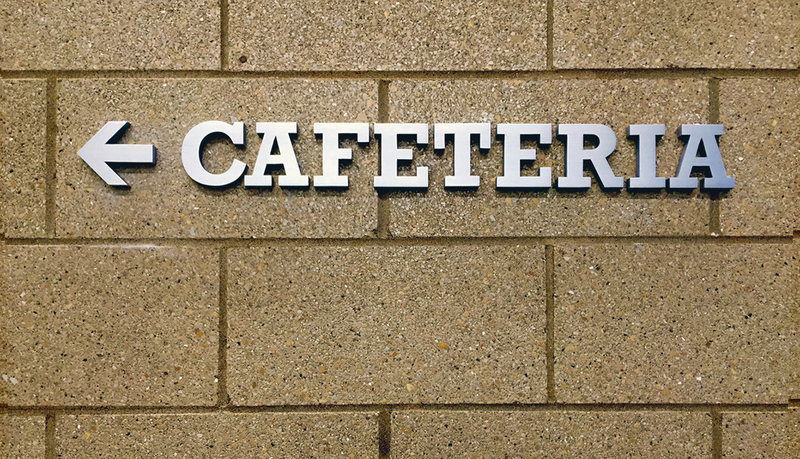 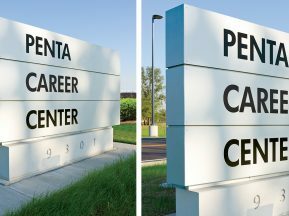 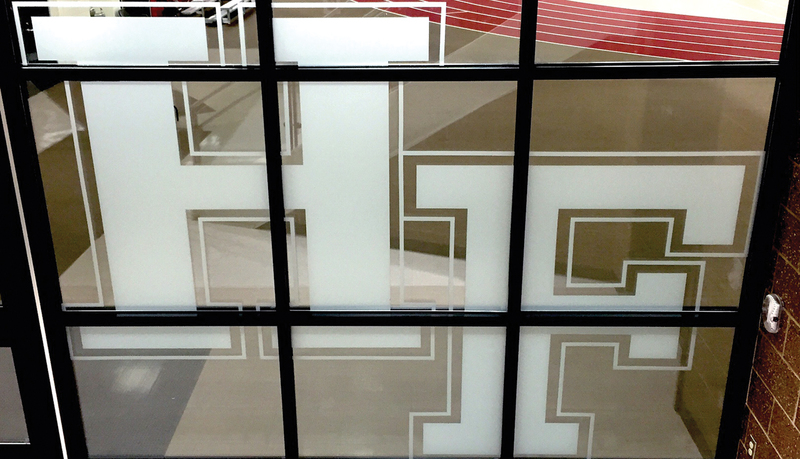 Branding elements were added in both bold and subtle ways throughout the facility. 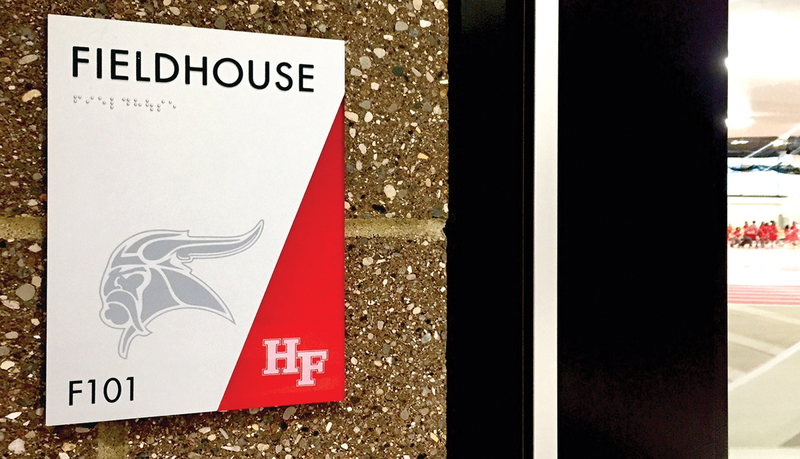 ASI creatively integrated the school’s spirit by using a subtle watermark of the Viking mascot on room signage, which also featured an angled cutaway to show the vibrant red of their school color. 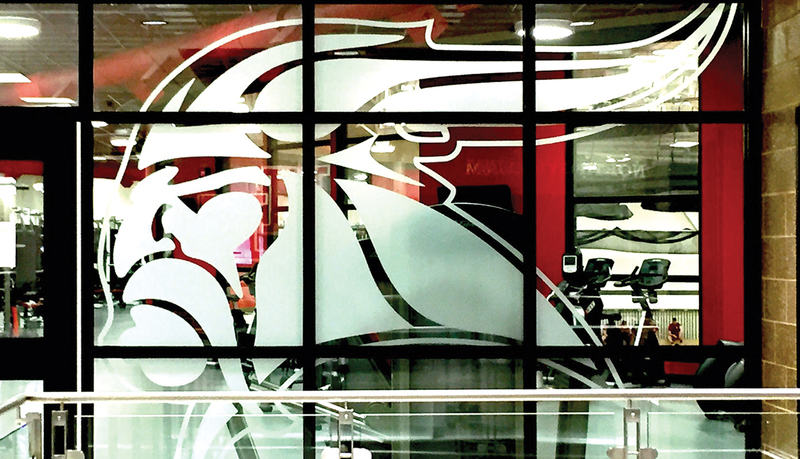 Larger versions of the mascot were incorporated into the environment with 3M Frosted Crystal vinyl window graphics and wall graphics. 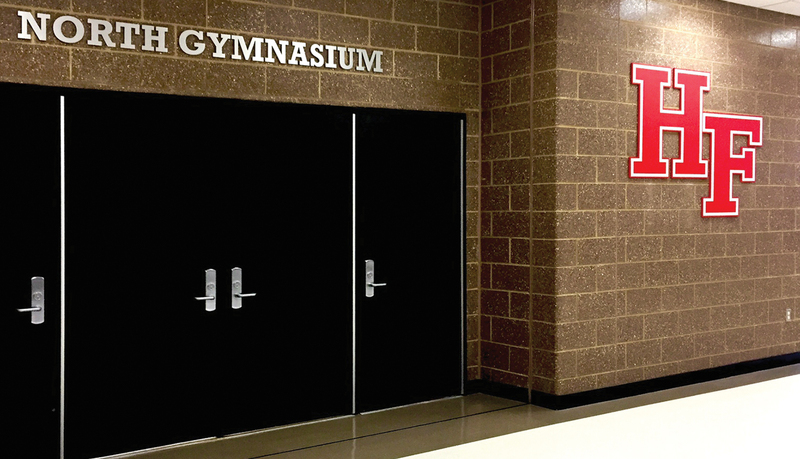 Regular, collaborative meetings with representatives from ASI, Chicago, school administrators and DLA Architects guaranteed a smooth design and installation process.